The WTB Trail Boss may look demure, but this quick spinning tire delivers more traction than you’d expect. With an armada of tightly spaced center knobs that are moderately ramped, the WTB Trail Boss is optimized to roll fast. The high-speed performance is complimented by tall blocky side knobs, which bite into the corners and grip over rocks. This tire is often found on the rear of aggressive enduro bikes, but the WTB Trail Boss is also an ideal front tire for hardpack trail riding. And while it may look demure, the quick spinning tire delivers more traction than you’d expect. The WTB Trail Boss is available in every wheel size option, including 26 and plus. Mtbr tested the light and fast dual compound 29×2.4 model, but there are also Tough/Fast, Tough/High Grip, Light/High Grip, and the base level Comp available. WTB tires are generally easy to seat and the Trail Boss is no exception. Setup is even easier if you’re using a WTB rim. When mounted to our Stan’s Arch rims, the WTB Trail Boss measured to 2.32, slightly narrower than the 2.4 emblazoned on the sidewall. 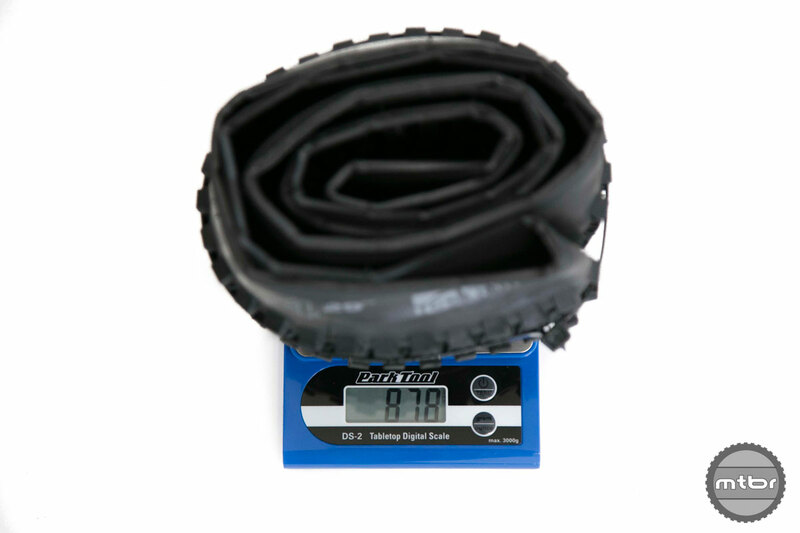 Claimed weight for our 29er tester was 917g, but our test tire came in 40g under at 878g. 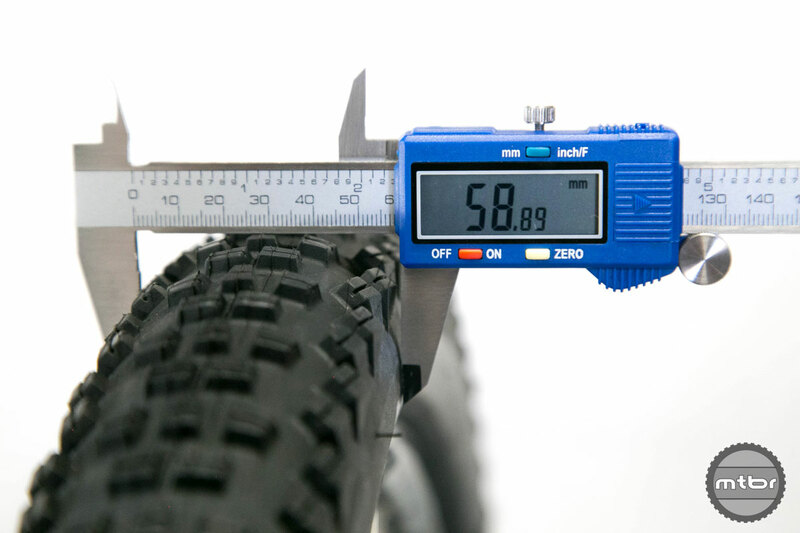 The WTB Trail Boss Mtbr tested came in 40g below its claimed weight of 917g. The WTB Trail Boss sits on the faster end of the spectrum. It’s not quite as grippy as the Specialized Purgatory reviewed here, but it’s not far off. Consider it a faster rolling alternative that offers more traction than more XC-oriented alternatives. 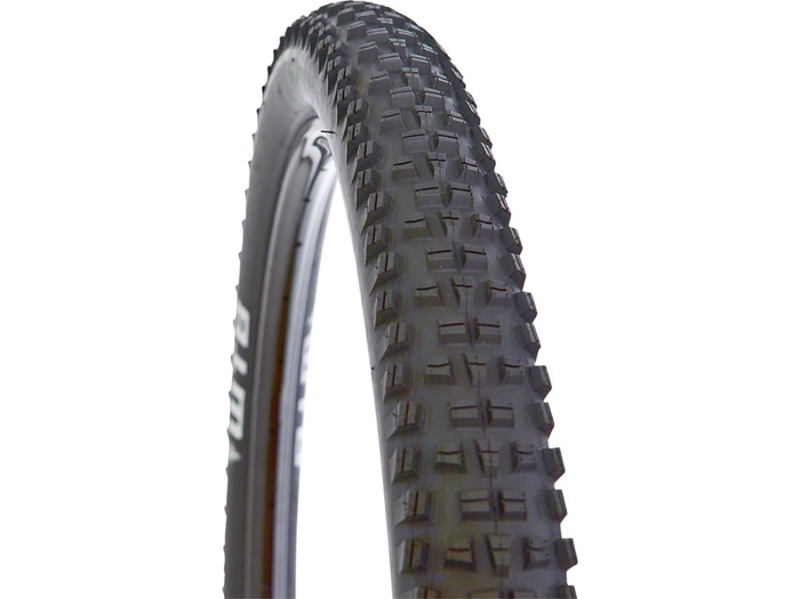 We’ve run various iterations of the WTB Trail Boss over the years and our favorite is the Tough/Fast Rolling version. The Tough casing (which typically comes with a 200g penalty) is incredibly resilient. 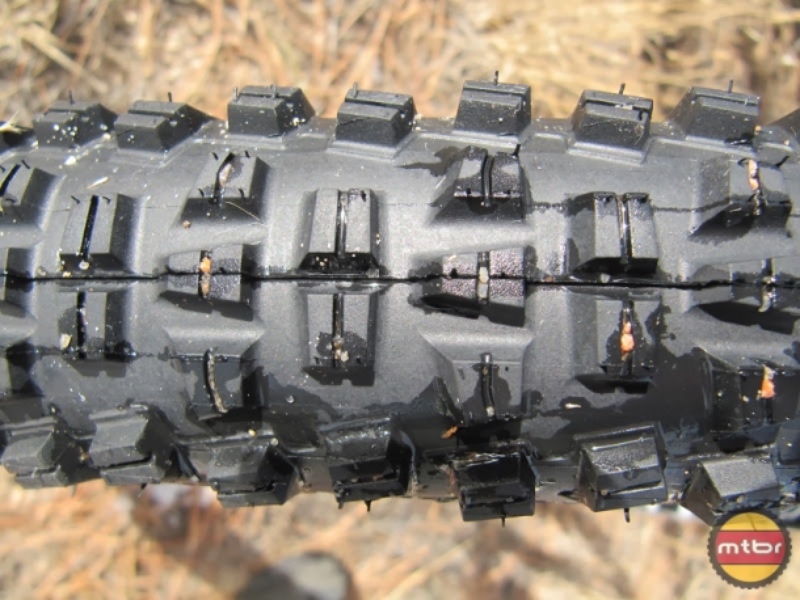 That’s made this version of this tire is one of the few trail options we’ve found that can withstand routine abuse. The Light version does not share this attribute. Under more aggressive testers, we occasionally burped air in corners. The sidewall was also more prone to punctures. At the equivalent of 2.32, the WTB Trail Boss was a touch narrower than its claimed 2.4 girth. In addition to the choice between Tough and Light casings, WTB offers the Trail Boss in Fast Rolling and High Grip versions. For the best bang for your buck, choose the Fast Rolling version, as it delivers markedly better life. However, the softer High Grip compound will bring you more smiles. The WTB Trail boss comes in 2.4 and 2.6 widths with a variety of casing options. Whichever compound you choose, the defining characteristic of the Trail Boss is its low rolling resistance and overall traction. We felt it worked best as a rear tire when paired with something meatier up front. Think WTB Vigilante. That said, the Trail Boss is a great option up front if you’re looking to expand the capabilities of an XC rig. The Trail Boss Mtbr tested came in 40g below its claimed weight of 917g. At the equivalent of 2.32, the Trail Boss was a touch narrower than its claimed 2.4 girth. Recently purchased a new bike (Whyte T-130) that came with the Trail Boss rear / Vigilante front combo. Absolutely awesome tire combo! Rode on WTB’s 20 years ago, and had been on Maxxis and Kenda rubber since (all good tires). But with these new versions from WTB, I’m back to WTB to stay!